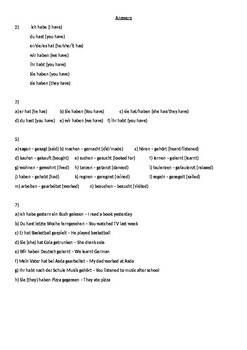 German Cover/Supply/ Substitute Work Perfect Tense with "haben"
A double sided worksheet that will last an entire lesson. Ideal for cover/supply/substitute work. Students can work independently on a variety of tasks of increasing difficulty. 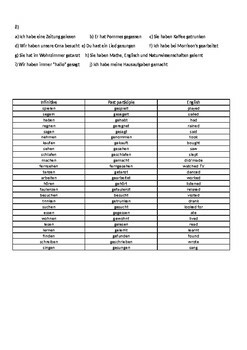 Answers and other useful vocab provided for non-specialist cover/substitute/supply teachers. 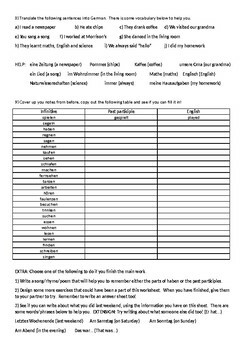 Ideas for open ended tasks provided at the end as an extension or for early finishers. 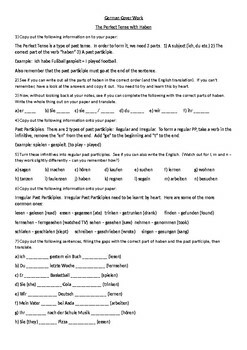 Language included = Various exercises on the perfect tense using "haben".